We just got back this afternoon from a 9 night trip to Walt Disney World. And it was spectacular! Our days (and nights) were filled with so much fun and excitement; it is going to take a lot of posts to get through it all. So hang on tight and get ready for lots of disney world photos and memories. We left last Friday, October 3rd. We were up early and drove down to Birmingham to get the non-stop flight to Orlando. It is worth the hour and a half drive to get an inexpensive direct flight. Perry still thankfully flies free (though we learned the hard way that you have to prove his age as he gets closer to that 2 year old threshold...we have never been questioned until this trip...and wound up having to call the pediatrician to fax immunization records to the airport). We were at the airport plenty early so we had time to deal with the previously mentioned issue and get some food and goof off in the airport terminal. Little boys are pretty easy to entertain in an airport. All they need is a window where they can watch airplanes take off and land. 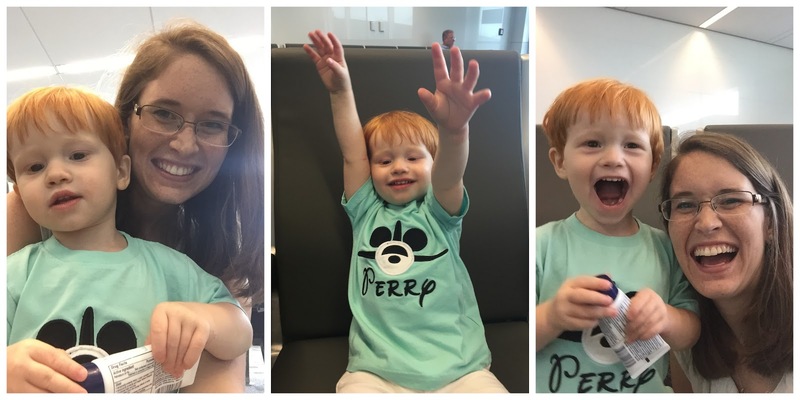 Perry did great on the plane. Hands down his best flight yet. We all watched the movie Frozen on the iPad the whole time. Perry is slightly in love with Elsa and Anna. 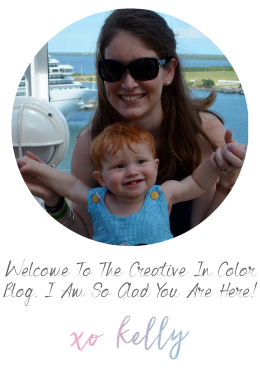 Once we landed we scurried down and boarded our Magical Express bus to our resort. Well technically we got off a few stops early intentionally. Since our bags were going to magically appear in our hotel on their own later on, we jumped off at the Pop Century resort and grabbed runDisney transportation over to the ESPN Wide World of Sports to pick up our race packets for the weekend. All three of us were running in races the next day. Our resort wasn't an official race hotel so we didn't have direct race transportation access. 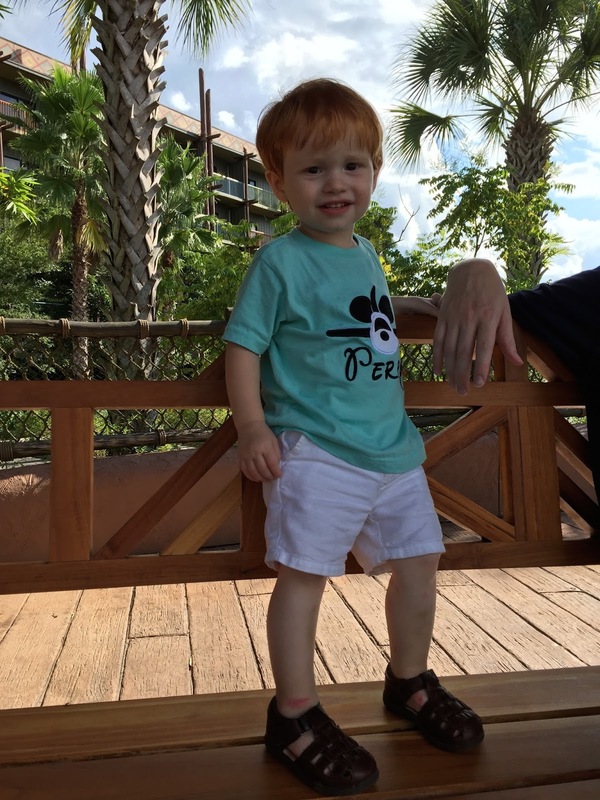 We didn't stay at ESPN long, just long enough to grab our packets and then got a taxi to our resort, Animal Kingdom Lodge, Kidani Village, where we would spent the next three nights. This is our home resort with the Disney Vacation Club and we love being close to the animals and the theming of the place. 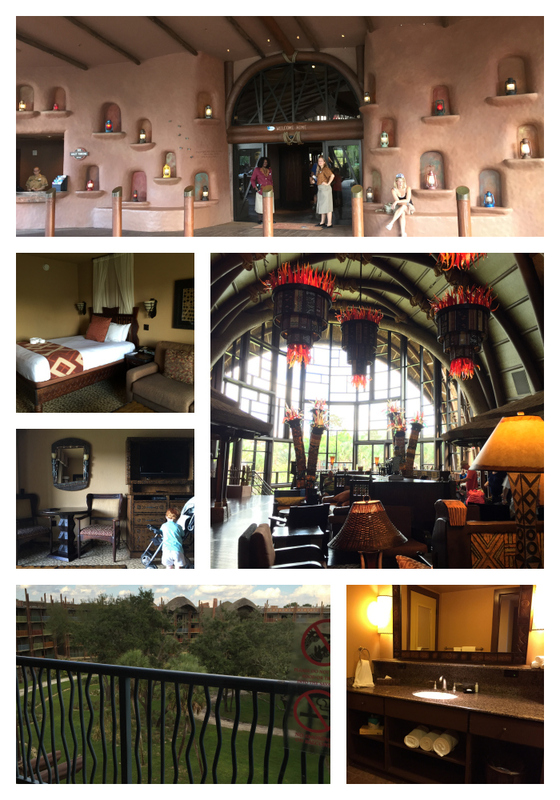 We had a savanna view room where we could see giraffes and zebras right from our balcony. Perry still had not had a nap and it was oh about 3 pm, but we just dropped our things in the room and hopped on a bus to Hollywood Studios because we just couldn't wait to get in the parks and have some fun. We had to stop by the ticket counter to get our annual passes activated (being DVC members the price was just a few dollars more than just getting tickets for this trip alone) and get our Tables in Wonderland dining discount card (which made its money back and then some during the trip). Once we were in the park first up was meeting up with the Eckleys who had driven down and gotten there a little earlier that day at Characterpalooza. 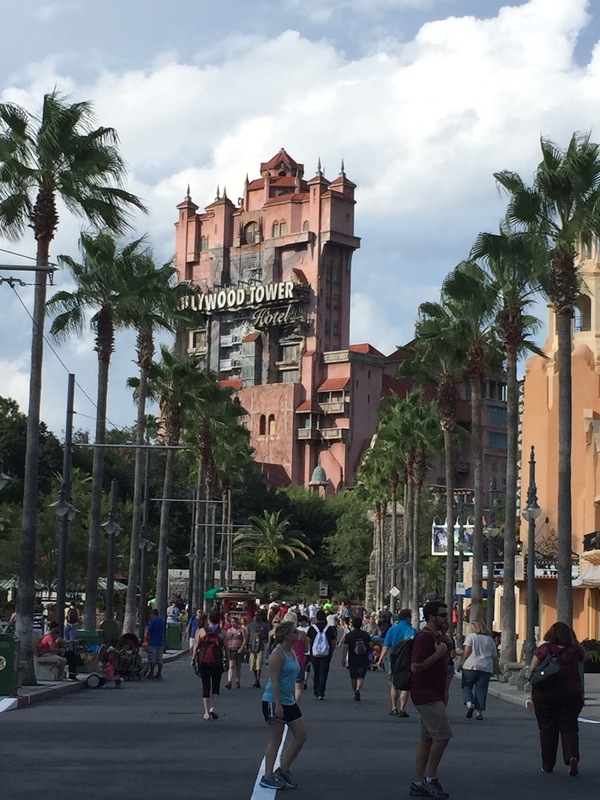 Characterpalooza is this amazing 15-20 minute span of time in Hollywood Studios that few people know about (and if you ask a cast member they will probably deny knowing anything about it) where a bunch of random characters come out and meet and sign autographs. It is a little hectic but very fun. And you can get to meet a whole bunch of characters with almost no line all at once. You never know who will be meeting which is half the fun. It only happens on nights when Fantasmic is happening, and occurs (atleast now) at 5:05 pm at the exit of Tower of Terror. We caught another Characterpalooza another day of our trip too, but this first day we met Minnie, Pinochio, Pluto, the Genie and Snow White. There were a few others there as well (Tiana, Mulan, etc) that we didn't get to. Perry by this point had totally passed out in his stroller so he missed getting to meet the characters, but some of the characters still got to meet him in his sleepy state. 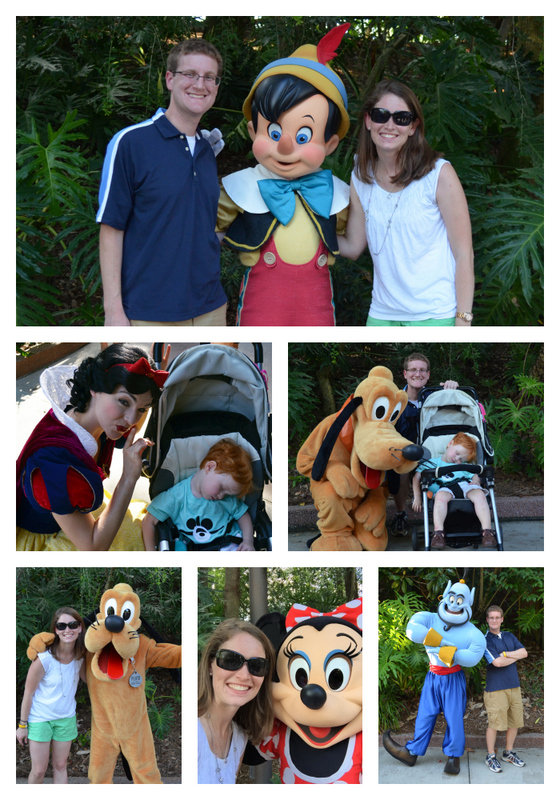 My favorite was Snow White who walked up and looked at him and asked us if he was 'sleepy?' So precious. From there we strolled around a little bit until Perry woke up and then went to check out the Wandering Oaken Trading Post (from Frozen). 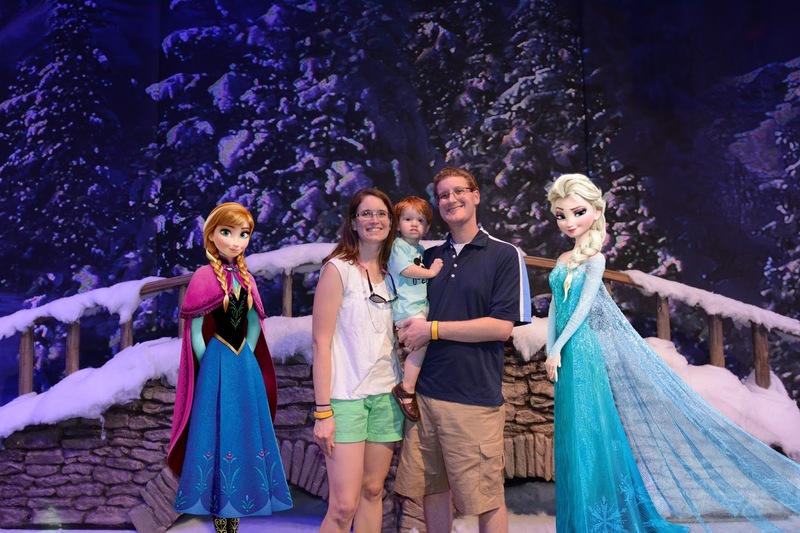 We got some pictures taken with (virtual versions of) Elsa and Anna and shared a yummy Elsa cupcake. They had a whole real snow playground, but we passed on that with Perry's skin still in a very delicate state. While we were in there it rained outside for about 5-10 minutes. We totally missed the rain shower and didn't know at the time that was the only time it was going to rain on us the entire 9 days. We had spectacular (though definitely warm) weather the whole trip. Then we went for our first spin on Toy Story Mania. Thankfully I already had fastpasses booked for us this day and another day later in the week because disney decided to do some testing with the ride the week we were there and not allow anyone to ride it that didn't have a fastpass. So we still got to ride twice during our trip. Perry loved riding around in the car and watching the screens while mommy and daddy played against each other. Of course, daddy won (aka player 2). After Toy Story it was time for dinner. We had reservations at 50s Primetime Cafe. 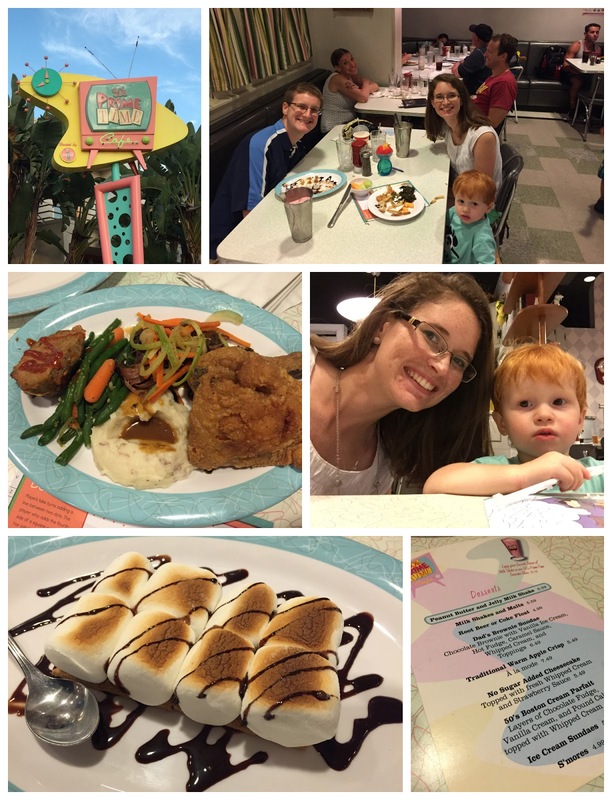 It was our first time eating there and we couldn't wait to try it out. I had heard from others that the portions are huge there and the desserts are amazing so Andrew and I opted to share an entree (a sampler of roast beef, meatloaf and fried chicken) and then each get our own dessert. Because we have our priorities in line clearly. The food was amazing, the theming of the restaurant is very cool and the wait staff were super nice. And they accidentally brought Andrew the wrong milkshake flavor which resulted in us having two milkshakes and an order of s'mores to share. My favorite thing was the plate full of s'mores. Our last stop of the evening was our fastpass for the Frozen Singalong attraction. It was really cute and funny. Much more than just singing along with the songs in the movie. Whew. I think that wraps up day one of our disney vacation. And it wasn't even a full day down in the house of mouse. We headed back to our resort for some sleep before day two which was filled with runDisney and naan bread.